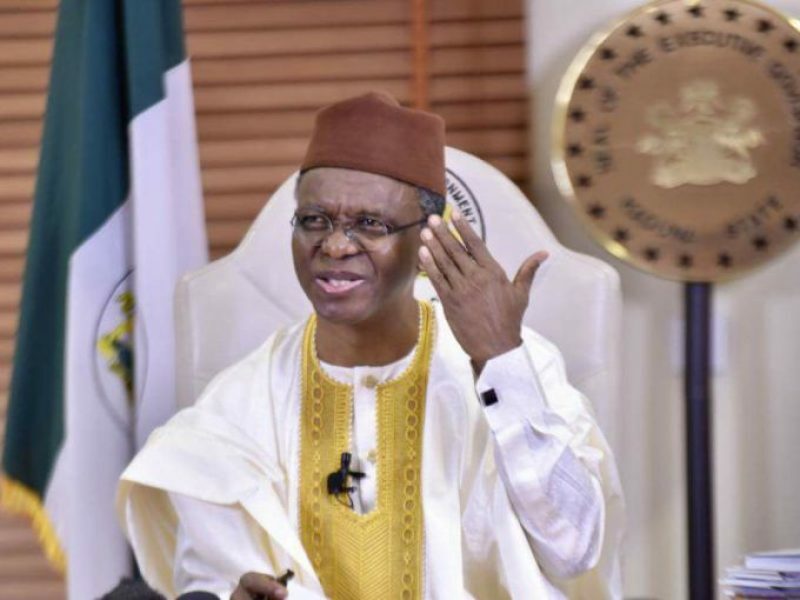 The Arewa Youths Consultative Forum (ACF) has carpeted Governor Nasir El-Rufai for allegedly spearheading the demolition of Senator Hunkuyi Suleiman’s house located at 11B Sambo road, Kaduna State. Describing El-Rufai’s alleged action as “political intolerance”, the ACF said it was not the first time the governor would be aiming at his political foes in that manner. “We note with deep concern that this is the second time el-Rufai will allow political intolerance to get the better of him,” AYCF’s President, Shettima Yerima, said in a statement. The Arewa Youths further said Governor El-Rufai should be held responsible for any resultant quandary from the demolition of the lawmaker’s building. Recall that the building, which until now served as the secretariat of factional All Progressives Congress (APC) in the state, was demolished on Tuesday after the new faction of the party handed the governor six months suspension. Meanwhile, reacting to El-Rufai’s alleged action, the Chairman of the Presidential Advisory Committee Against Corruption (PACAC), Itse Sagay, said the governor “went too far”. “I must tell you when I saw it in the press this morning, I was really shocked. To me, it is a bit extreme because Governor El- Rufai is somebody I have great respect for. “He is highly principled and he is a man of his words but I don’t think he will go to that extent over a disagreement between other members of the party. I was shocked and I am not happy about it. “He went too far because apart from the fact that such action is not right, it can also affect the fortune of the party in that state. One has to think of all those things. So, I am not happy about it and I think it was wrong,” said Sagay.